Anahid Basmajian is an Irish-Armenian, Global Marketing & Communications Director and personal branding expert. Anahid advises Global CEOs and senior leaders on how to create and maximize their personal brands both on and offline. Most recently Anahid led the publicity strategy for Harvard Business Review’s best-selling book Leading Digital receiving coverage in Forbes and a number of international titles. Her face has lit up the NASDAQ Tower in Times Square above Lady Gaga & Tony ... Maggiori informazioni Bennett and she is a regular contributor to the Women's Sports Journal and blogs as the High Heel Runner. Find out more about Anahid and her work on www.anahidbasmajian.com, on twitter @Brandmajian or subscribe to her lifestyle blog, High Heel Runner for hints and tips on how to make the most out of your life. Get the OFF TO WORK CD & Off the Grid Into the Heart CD by Sister Jenna. 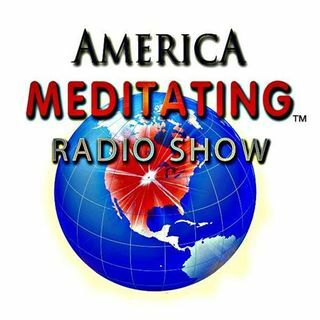 Like America Meditating on FB & follow us on Twitter.